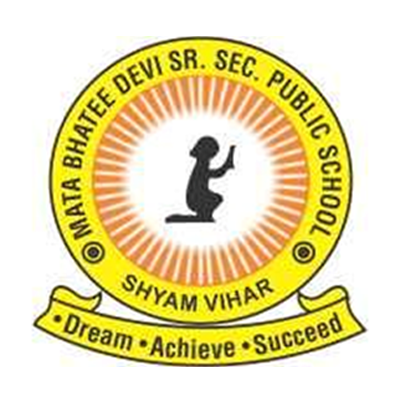 Mata Bhatee Devi School has a distinguished circular logo with these words inscribed “Dream, Achieve and Succeed” on it with a child kneeled down holding a candle in his hand which is illuminating the entire world. The logo motivates the students to achieve their dreams and biggest goals by developing the psychology of a winner! As Honourable A.P.J Kalam very aptly quoted “Dream is not that which you see while sleeping it is something that does not let you sleep”. The request or command “Dream, Achieve and succeed” motivates its students to dare to dream the rarest, gain confidence and make a difference as NOW is the time to dream big and pursue the goals and reap the benefits of the existence. Every color in the logo reflects a thought! The Red color in the logo expresses the commitment that the school has towards the society in providing the best education for sculpting the students into good human beings. In the logo, the White background suggests the spiritual strength on which the institution stands and Yellow color propounds the light its students will spread in the entire world. © Copyright 2015 : MATA BHATEE DEVI PUBLIC SCHOOL | Designed by : Redox Systems Pvt. Ltd.